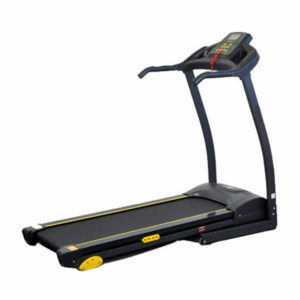 If you are looking to purchase the top quality remote controller that features the built-in Mouse and a full QWERTY keyboard, then there is no need to purchase the substandard products from the market, as the official franchise of the Telebrands PAKISTAN has brought a product that all the quality conscious customers will definitely find useful. The name of this quality product is Air Mouse JS6/T6 Keyboard with Touchpad. The Air Mouse JS6/T6 Keyboard with Touchpad is a revolutionary rechargeable mouse that features built-in full functional QWERTY keyboard and a dedicated touchpad that allows the easy controlling of devices. The Air Mouse JS6/T6 Keyboard with Touchpad has a total range up to 10 meters, means that now all the users can easily control their devices from the above mentioned distance. The Air Mouse JS6/T6 Keyboard with Touchpad features 6-axis Inertia Sensors that all support the top of the line Samotosensory Games. The Air Mouse JS6/T6 Keyboard with Touchpad also features the option to ON/OFF the mouse cursor of the device. 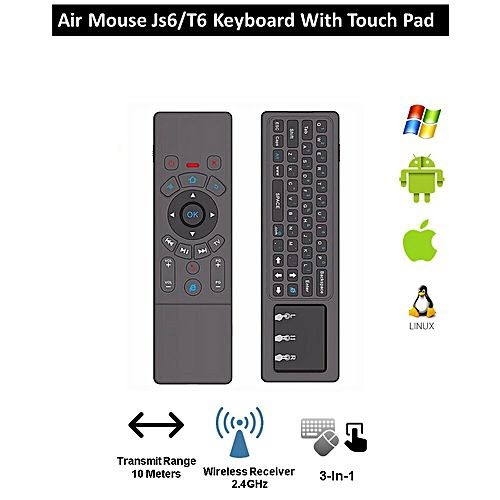 The Air Mouse JS6/T6 Keyboard with Touchpad features the Windows, Android and Linux OS. The Air Mouse JS6/T6 Keyboard with Touchpad is an ideal air mouse with a keyboard that will definitely take care all your device controlling jobs with quite ease. If you want to place an order of this product, then all you have to do is to just dial the number 0333.4115583 from your landline or mobile number.